Hi, I’m Esther Jo. Along with my partner Ruth Rose in TX, USA, we make the Finest Anti-aging Effects on the Face of the Earth. We like to look natural and feel natural. Makeup is for special occasions, to enhance, but never to hide. If Beautiful Makeup-free Skin and Healthy Hair is important to you, too, our products Holistic Serums are just right for you. Our ingredients are among the most fantastic that the Earth has to offer. extracts of Roses from Bulgaria, Jasmine from Egypt, Myrrh from Ethiopia, Somalia from Frankincense, 23K Gold dust and Gold Bhasma. Our SkinCare makes your Skin smooth, shiny and youthful and helps to keep it toned during weightloss processes. Compare with Serums on the market. Serums on the Market contain (mostly) less than 5% natural ingredients, and full of chemicals for smooth flow, color, fragrance. Many cause reactions on Sensitive Skin. Holistic Serums natural oils and essential oils aid to nourish the skin, being easily absorbed. Serums on the market use petroleum (mineral oil, etc) which gives creamy texture. Petroleum base has a barrier like property and is not absorbed by skin (or scalp ) but sits on top, like a coat of Makeup. Serums in the market benefit by hiding away and filling blemishes on Skin instantly. Just as Makeup can be wiped off: when you stop using Serums, the effects completely disappear in a few days. When serum does not nourish, you may notice skin and hair is worse off than when you start. Holistic Serums consist of nourishing oils and stopping product usage does not deteriorate the quality of skin till several weeks, or revert to pre-treatment stage because of intense nourishment. Use of Holistic Serums makes skin and hair respond better to salon treatments, etc. Holistic Serums are best suited for those who are considering or undergone Clinical treatments, those more aware of skin and hair needs. comparable and better benefits to Skin & Hair, in the long run and with awareness of skin changes and in the right frequency. Holistic Serums are for those who feel stressed about the condition of their Skin & Hair and desire to improve it. Holistic Serums are made to help you Look Better, Feel Better & Live Better. Our products, Holistic Serums ship worldwide from TX USA and our Wedding Serums products are available in India. Posted on June 29, 2016 June 1, 2018 Categories About UsLeave a comment on Opening Up: The Secret of Our Successful Products. where we worked together, cooked together, loving the naturally good life. How do I Make unique Holistic Serums? Our Clients send us feedback & their pictures of our phenomenal products, and ask us how. This is an attempt to explain something that can only be experienced- I’m using one of personal experiences for this as a metaphor. 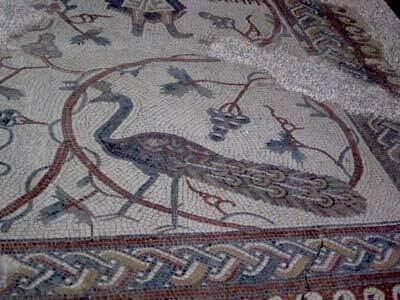 Mosaic in Israel. Floored me. A few years ago, I was visiting Israel. places, situations from years of Bible-reading, now in the Flesh. I saw a huge area, cordoned off- some paintings on the floor- and I strolled over to this very dimly-lit area. There were amazing floor patterns, seeming like rough paintings in a very large scale, There were birds & animals 5-6 feet high, each one bigger than me. I walked closer and closer, and not until I bent forward to peer right on top of it, did I see what it was. A humongous Mosaic, with such intricate detail that even while I was looking at it I couldn’t believe my eyes. I just said to myself, ‘this is not real’ and went around trying to figure out where I can spot the fake. Truth. Finally, I accepted the cracks, and the erosion to mean this was The Real Thing, just better (sorry U2) So much better, I didnt want to believe it. Isn’t that what we do? When faced with something more wonderful than what we ever experienced before, we just disbelieve it. Spiritually, such kind of disbelief brings bad outcomes: Because we don’t believe, we go around saying certain things are fake when they aren’t – calling the Truth a lie. But I digress. An archeological find Floored me because the details were fantastic ! Can you just imagine hundreds of hours of back-breaking work in that artistry? Dozens of hands must have worked on it! Nobody could do this now! The Floors left me breathless. What kind of History was this! The Bull- Bison- was next to the Peacock. Vines & grapes throughout the 30-40 feet floor. I spent most of the allotted time there, walking back and forth. The picture is brightened so you can see the colors. The Mosaic is a Metaphor for How Holistic Serums are Made. What you see is unfathomable – When you use Holistic Serums, you will pull back the current ‘Floor” of your experience (with other products), and ‘seeing’ the hidden creation, the hours of hard work that have gone into each piece, the Artistry to make each a cohesive whole. We started our Online Store in 2007, years after making products for Family & Friends, two SAHM’s in Texas – we had Passion, and Perfecting Products, but neither Industry knowledge nor Small Business knowledge – an ongoing process. The old blog is reflective of that. Our website looked different, with rudimentary marketing skills. Through the years we battled Relocation, divorce, personal/ health issues including Osteo-arthritis. And we still Made. And we still Make. Making (& Using) gave us Peace, an anchor, while everything changed around us, a Gift unique to us, that no one else can ever have. A reason to Lift up our Heads, because God has given us Favor, and His beauty on our Faces. So then, we too, lift up others – give a hand to Move Ahead when life throws in its natural stops. Britton Bell, Vietnam War Veteran, Facebook Friend. Maturity is the capacity to empathize with another’s drastically different experience. I hope this post helps to do that. I ask the zanily funny, straight-talking Britton a few difficult questions. I enlisted in the US Navy in June 1966, and had a three year enlistment. I was a Hospital Corpsman, and met some of the most inspiring guys – mostly Marines – who were hospitalized for months, and sometimes a few years because of the severity of their wounds. I have more stories about them than Carter has little pills. I lost more than 50 friends in the Viet Nam war … Marines and many Navy Corpsmen. That is something no one can forget – every year I remember them as if it were still 1966. When I traveled in uniform and when I applied for jobs after my discharge, using my little experience (considering I entered right after high school graduation) was being called “A Government Paid Whore”. Toughest thing after the War ended. Going to the Viet Nam War Memorial and finding the names of those I knew who were killed in action was the most difficult, painful, emotional experience for me. Of the 58,220 names on the Wall at the Viet Nam War Memorial in D.C., 638 belong to Navy Hospital Corpsmen who were killed in action — more than in any other war except World War II. I knew more than 50 of those boys personally. About considerations to a Veteran. ​I do not and never have expected anything from anyone because I served in the military. My Duty, my Pride, my Honor. Gabby had a really bad accident, and as Britton talked about the difficult legal/emotional fight about the accident, I found myself drawn to her and wrote to her and we emailed for a while. Later, I (or she) found her on Facebook and became friends. She has a great pick-myself-up- attitude which inspired me through the years. This interview is in her honor as a Fiesty, Brave, Tough, Kind, Gentle, Faithful, Honor-bound woman. So ready to take on so much.. and still laugh it out. Love you, Britton! You are a hero! And it has nothing to do with the war. Also the founder of Britton’s Unique Boutique, BUB, Fine, organic skincare products – her lifetime passion! (labeling done). Link will be updated. ” Two million women have served in defense of our nation since the Revolutionary War, the Navy providing all medical services to the Marines since that time. 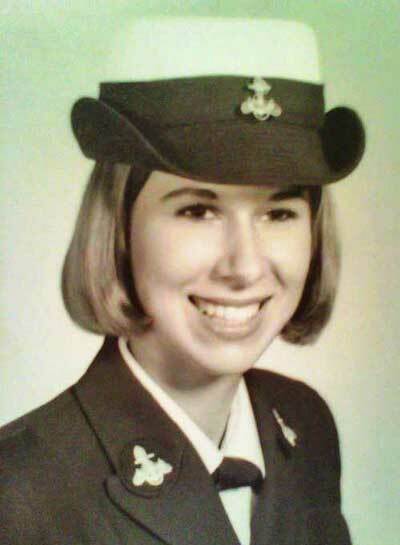 In June 1966 I enlisted in the Women’s branch, “WAVES” of The US Naval Reserve (estd 1942), at the height of the Viet Nam “Conflict”, because I wanted the GI Bill to help toward Medical School. Only 38 out of 80 I started boot camp with, were graduated and sent to other duty stations. I was thrilled when I got my orders for Great Lakes Naval Training Center because I was going to be a WAVE Hospital Corpsman. The first Navy Corpsmen went into DaNang with their Marines in 1965. Corps School, a 34-week school, with rising casualties, we were pushed to our limits in 17 weeks to be fully trained. Less than 10% of my class were WAVES and were sent to non-combat zones. The majority of my male classmates were serving “in-country” by early spring of 1967. Special units, such as the Navy SEALS and Marine reconnaissance units took Corpsmen with them. Hospital corpsmen in Vietnam cared for over 70,000 Navy and Marine Corps combat casualties. Of the 58,220 names on the Wall at the Viet Nam War Memorial in D.C., 638 belong to Navy Hospital Corpsmen who were killed in action — more than in any other war except World War II. I knew more than 50 of those boys personally. The most dangerous role of the hospital corpsman in Vietnam was in the field, as medical Sailors. These Sailors patrolled with their Marines, risked the same dangers, and rendered the aid that saved the lives of thousands. The Women in Military Service for America Memorial, located at the Ceremonial Entrance to Arlington National Cemetery, is the only major national memorial honoring all women who have defended America through history.